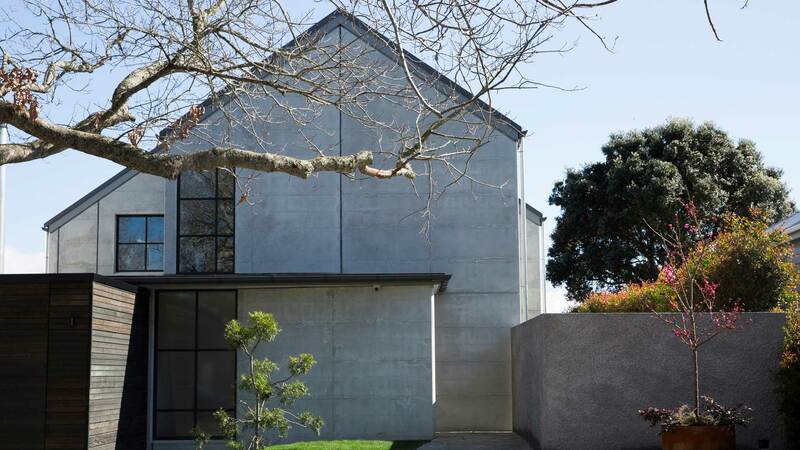 The owners wished to build a house on a flat inner-city site facing north using 220 mm thick Litecrete precast panels, allowing the ‘fair-faced’ concrete finish to be visible externally and internally. Double-glazed steel windows were to be employed to frame and screen openings in the concrete walls; gridded fenestration – combined with the concrete finishes – would provide a gritty aesthetic of a more European flavour, which they both liked. The brief was standard, requiring four bedrooms (two sons and guest accommodation) with normal living arrangements including a second living space for TV viewing, to be accommodated. The streetscape, in a heritage area, contained Victorian villas, which were pitched and gable roofed. The concept was a pair of solid gable-roofed building blocks, which occupy the middle of the site, spliced and slid along the central axis to give a larger plan width in the middle. An aged insitu concrete look was required to the external panel faces which was produced by casting the panels on to plywood squares so that the joints of the plywood were visible. 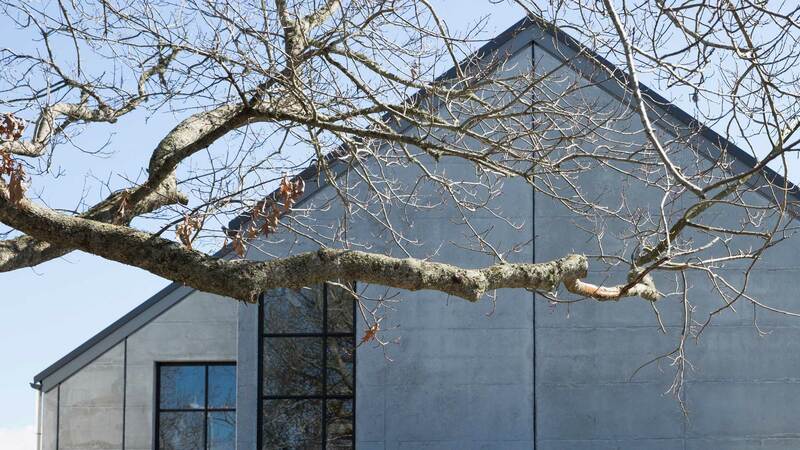 In May 2017 this house was awarded a New Zealand Institute of Architects Residential Award.